Introduced in January 1996, the Ad Astra Stone Program continues to attract an exceptional level of interest and participation. Originally proposed by Maj (Ret) Roy Skillicorn and developed by Colonel (Ret) “Cy” Yarnell, the project involves the installation of engraved markers along the walkways of the Airpark beside the National Air Force Museum of Canada. Countless hours of dedicated volunteer work have enabled the project to succeed far beyond the expectations of its founders. To date, more than 12,000 stones have been placed in the park, raising more than 1.1 million dollars for the Museum. Each year, a dedication ceremony is held in the Airpark on the last Saturday in September. This year’s Ad Astra Ceremony is September 28th at 2:00pm. The ceremony is a way of publicly commemorating and thanking all those who have supported the Ad Astra Program and the Museum. Bearing the words “Ad Astra” and adorned with an Air Force Roundel, the 6″ x 10″ gray, granite stones are inscribed with a person’s name, their hometown and province, and the years of birth and death (these dates are engraved only when the Museum is informed of the person’s passing). Information regarding service number, rank and decorations, does not appear on the stone but will be recorded in a Museum Register that also identifies the location of the stone in the Airpark. 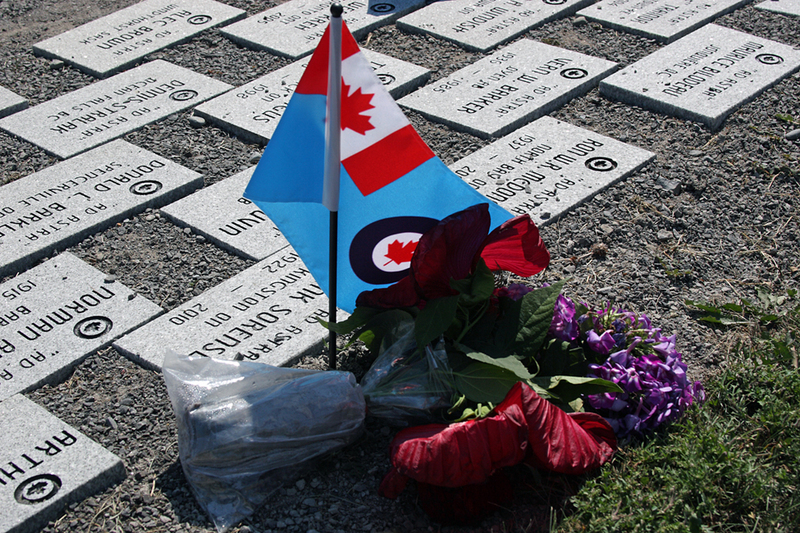 Donations to the Ad Astra Program may be made on behalf of any Canadian airman or airwoman who has served or is serving in Canada’s Air Force or an Allied Air Force, their spouse or others whom the Board of Directors deems appropriate. The donation required for a stone is $160. Upon receipt of the Ad Astra Stone application and payment, the Museum will issue a charitable income-tax receipt to the donor. A second, duplicate Ad Astra stone can be placed in the Airpark in another location of your choice, for an additional $100 donation. This second stone must be identical to the original stone and purchased at the same time. There is a $40 fee for any request to change the engraving due to error or omission on the part of the application. The deadline for purchasing stones to be dedicated in the 2018 ceremony is now past (July 15, 2018). Stones purchased after this date will be dedicated during the 2019 ceremony in September.